Since 1954, the United States of America has celebrated Veterans Day on Nov. 11 to commemorate the men and women who served their country in a military capacity. On this day, veterans are to be treated with the utmost respect. But this is not the original name of the holiday. 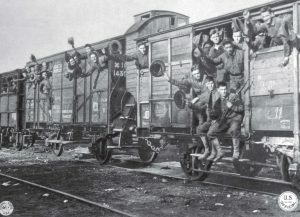 Starting on Nov. 11, 1919, the citizens of the United States and people all over the world began to celebrate the anniversary of World War I’s end, which occurred Nov. 11, 1918, with the signing of the armistice between the Allies and Germany. Thus on Nov. 11, 1919, President Woodrow Wilson recognized the day as Armistice Day. 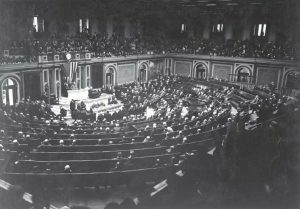 “To us in America, the reflections of Armistice Day will be filled with solemn pride in the heroism of those who died in the country’s service and with gratitude for the victory, both because of the thing from which it has freed us and because of the opportunity it has given America to show her sympathy with peace and justice in the councils of the nations,” Wilson said. It was not until after World War II that the name of the day was changed to Veterans Day to celebrate military personnel and others who served the United States in either war. This year, however, the holiday will mark the 100th anniversary of Armistice Day and the end of a war that changed the world in many ways. And while all the veterans of the war are no longer living — the last surviving U.S. military veteran of World War I, Frank Buckles, passed away Feb. 27, 2011 — many cities in the United States are doing different things to honor their Doughboys, by recognizing their accomplishments and focusing on how the war helped shape America. Norwich, Conn., for instance, has been planning for the 100th anniversary of Armistice Day for years, and the celebrations began in the fall to prepare local community members for the actual day. Since Sept. 10, at the Otis Library in Norwich, city historian Dale Plummer has hosted talks related to World War I. A few examples of talks were on Polish Americans in World War I and African Americans in World War I. On Veterans Day, there will be a talk on 100 years of women in the military. Plummer is also looking to highlight as many Norwich World War I veterans and volunteers who assisted in war efforts, such as nurses and Red Cross members. He is trying to collect as many names as possible and even plans to recognize a few of their surviving descendants. 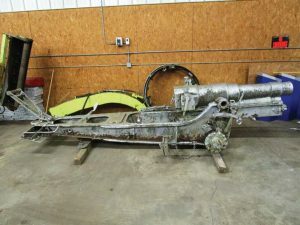 Another part of the 100th anniversary celebration is fundraising to restore a World War I howitzer captured after fighting ceased. 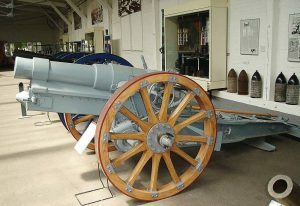 Plummers said that over the years the weapon has suffered significant wear, but he hopes to be able to restore it and put it on display once again. He said that it’s important to celebrate this historic milestone because of the impact World War I had on the country and, in particular, Norwich, where an old Naval location was transformed into a submarine base that still functions today. Elsewhere in Niles, Mich., the pastor and groundskeeper at Community Evangelical Free Church recently rediscovered an old stone monument that featured a plaque in their front yard; it had previously been covered by bushes. The plaque paid tribute to 28 community members who assisted the United States in World War I, and it also commemorated Armistice Day. In addition to restoring the plaque, the church is looking for any descendants of its 28 names in hopes to include them in the celebration for the 100th anniversary. Niles likely won’t be alone in rediscovering World War I monuments since in the years following the war, many, from small plaques and street signs to monuments and statues, were erected across the U.S. — and as they are uncovered, so too will be local history. Plummer said putting on events, such as the ones in Niles and Norwich, can take a significant amount of time but are made much easier when local government officials are on board.